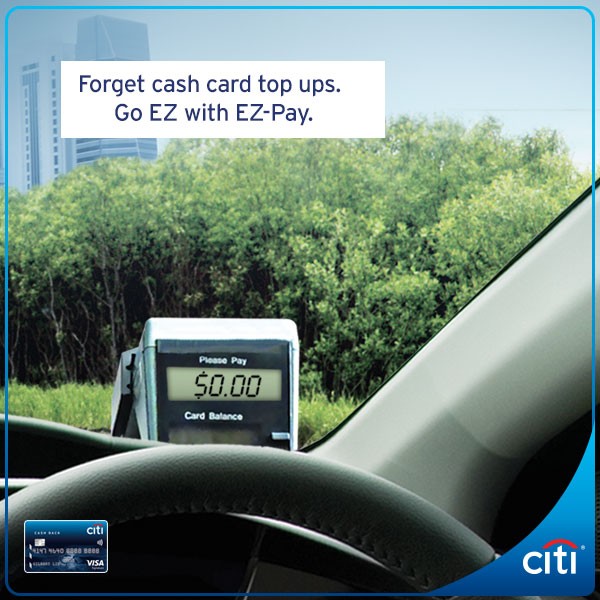 For a limited time, drive through 10 ERP gantries for FREE and get S$20 Shell eCoupon* on your first ERP gantry with EZ-Pay. 1. SMS to 72484 to enroll for this offer above. Once it is activated, you can forget about cash card top ups and breeze through ERP gantries island wide. *Promotion is valid till 31 July 2017. T&Cs apply. The link above leads to a third party site. By clicking on the third party link, you acknowledge that you are entering a third party site and that Citibank Singapore Limited will not be responsible for any information you provide or receive at such third party site. Previous: [UOB ATM] The vacay vibe is definitely strong today. Next: [Running Lab] Join us on our weekly run along some of the most scenic routes in the city.